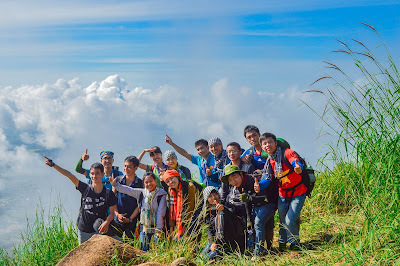 Located in South West of Vietnam, people here at Can Tho Province are friendly, gentle & generous. 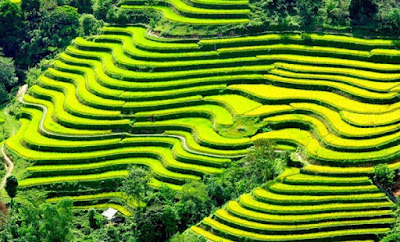 Mother Nature has been very kind when providing such prosperity to the land; therefore, many famous recipes are on our list of Best Vietnamese Food. In Can Tho, the best Rice Cake with Pork Belly and Mung Bean (Bánh tét) belongs to Huỳnh’s family who live in Bình Thủy. They made their signature with the Magneta leaves by cooking these leaves to take the water from it then stir fry sticky rice with coconut milk, meat & salted duck egg are used for the fillings. 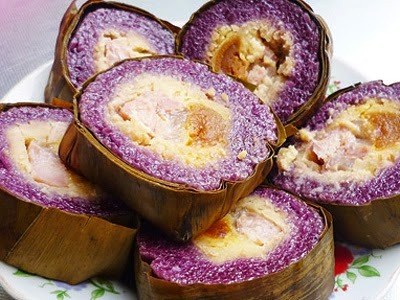 Wanna have a delicious cake, you must select the most qualified sticky rice, soak with magneta leaves so that the cake would have a beautiful, natural purple colour. The Magneta leaves need to be fresh, otherwise, the colour would fade. The meat for fillings must be fresh and marinated carefully. Then, add the stir-fried sticky rice with coconut milk inside before wrapping. The cake will be cooked from 4 to 5 hours. 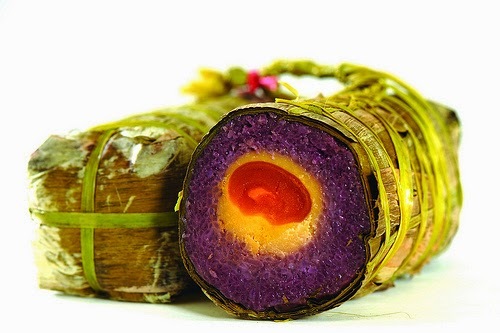 When you cut the cake, you will see the silky purple colour of the sticky rice, meat inside, egg yolk from the salted duck egg, fat and mung bean combine together & create a symphony of food. Other Rice Cakes with Pork Belly and Mung Bean (Bánh tét) from Chín Cẩm or Tư Đẹp stores are also stated in our list of Best Vietnamese Food so far. 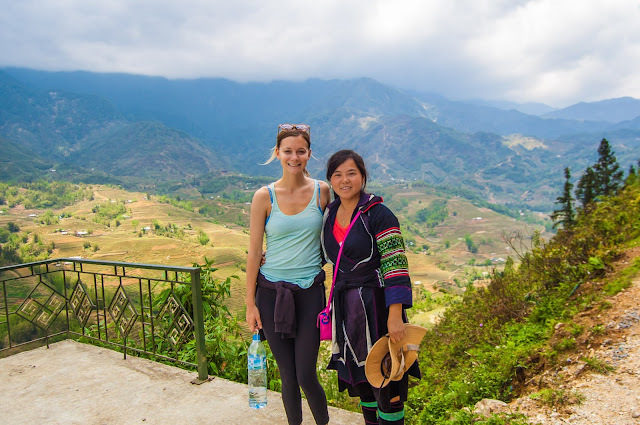 The tourists are usually go to Xuân Khánh market, An Thới, Mít Nài, etc. to purchase the cakes by themselves. Back in the old time, there was a woman named Tư Khem who is believed to be the creator of Cái Răng’s Grilled Pork Roll (Nem nướng Cái Răng). Until now, many food lovers are still coming to this land to enjoy it. The best Cái Răng’s Grilled Pork Roll (Nem nướng Cái Răng) is made from minced fresh pork, sweep it then knead it into round meat balls, next you grill it on a hot coal stove. Each balls are skewed in thin bamboo stick and are best served with Phong Điền’s Rice vermicelli (Bánh hỏi Phong Điền). 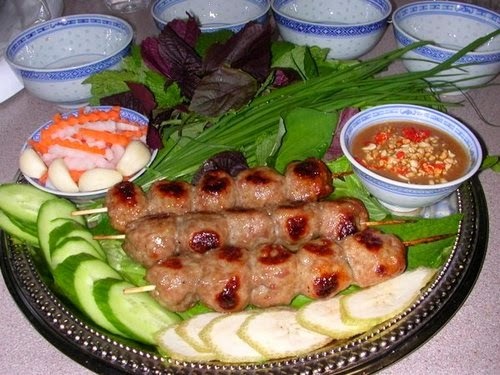 Like other dishes, Southern people like using herbs with rice paper, Cái Răng’s Grilled Pork Roll (Nem nướng Cái Răng) need herbs, green banana, cucumber, pineapple, starfruit, etc.. Holding half of a rice paper on your hand, add some vegetables named above then put a Grilled Pork Roll on, roll it and eat with special sauce. If you don’t like soya sauce or hoisin, you can substitute with fish sauce with lemon, minced garlic and chillies. Here is also the second Best Vietnamse Food in Can Tho Province which you should not miss when you have a chance to visit here. 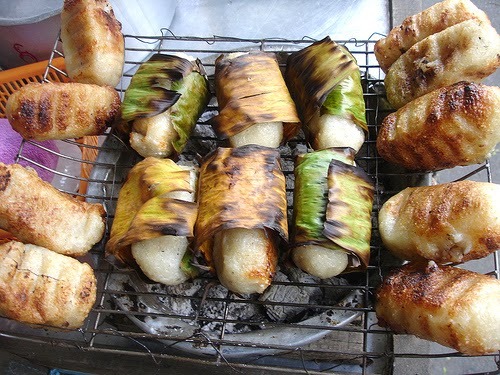 Banana is wrapped in sticky rice, bring to grill together will create an amazing flavor when eating. I bet you will totally fall in love its flavor from the first time of tasting. Read more about this Grilled Banana wrapped in Sticky Rice if you want to make it at home. The snails is boiled quickly then put on the coal stove to grill. 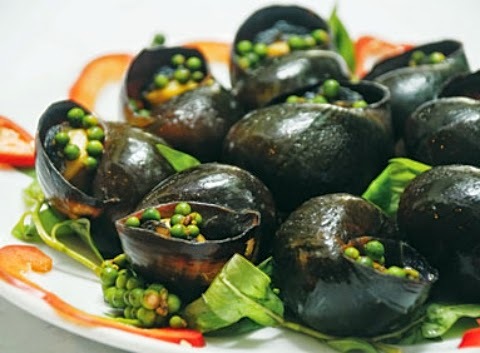 When it is cooked, you can take the snails out, put on plate which has laksa leaves below. You can taste the spicy, sweet, salty and crunchy-ness all in one recipe. 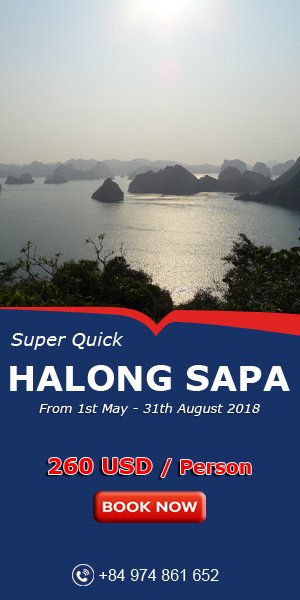 Here is the first part I want to introduce some Best Vietnamese Food in Can Tho Province, do not miss our next post to discover more amazing dishes in this beautiful place. Hope you guys will read it.